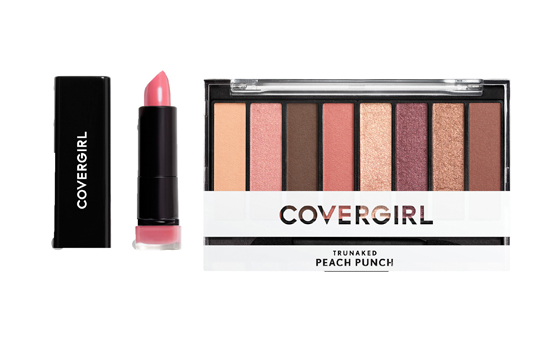 Covergirl lets ladies put their best face forward with its line of cruelty-free lipsticks and exciting new shades of eyeshadow palette. The new Exhibitionist Lipstick Collection, formerly known as Colorlicious, comes in 41 shades, from the lightest pink to the darkest blue, and three indulgent finishes that are infused with shea butter for long-lasting color. The Exhibitionist Cream Lipstick easily gives off that classic creamy texture without emphasizing lip wrinkles. For those who like matte lipsticks but enjoy the luscious feel of creamy lipsticks, the Exhibitionist Demi-matte Lipstick is their best bet with its slight sheen finish and solid staying, moisturizing power that effortlessly glides on the lips. Finally, the Exhibitionist Metallic Lipstick brings just the right amount of shimmer to the lips. Meanwhile, the TruNaked Eyeshadow Palette introduces four new trendy shades, each with eight highly pigmented, easy-to-blend shades. Create that golden hour glow with the Sunsets palette or opt for the vibrant rainbow colors of Dazed. The Peach Punch eyeshadow palette, meanwhile, comes with classic pink, cream, and taupe shades for that light and juicy vibes. While the Chocoholic palette features deep, dark yet rich tones of creamy rose, mossy green, and shimmering violets. These new makeup products are available at Landmark Trinoma, SM Megamall, SM Mall of Asia, SM North Edsa, and Zalora. 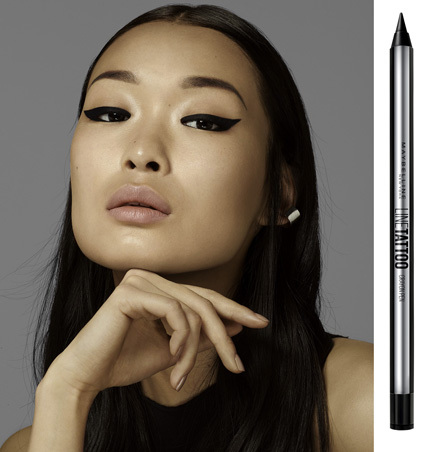 Maybelline introduces its newest and “tattoo-lasting” eyeliner, the Line Tattoo Crayon. This new eyeliner is built to last like a tattoo, with its waterproof, smudge-proof, and sweat-proof formula that promises defined eyes from day to night. It delivers smooth strokes and highly pigmented color and glides on seamlessly on the lids for a no-tug application. Its retractable mechanism requires no sharpening. It is available in black and dark brown. This new eyeliner is available at Maybelline counters nationwide.